20XX by Batterystaple Games isn’t afraid to show where its inspiration came from. From the design of its main characters, to the feel of the game’s controls, right down to aping one of the most iconic intro screens in gaming, this is an unapologetic riff on the Mega Man franchise, particularly the X series of games. However, some fundamental changes to the core formula flip the standard bot-battling formula on its head. 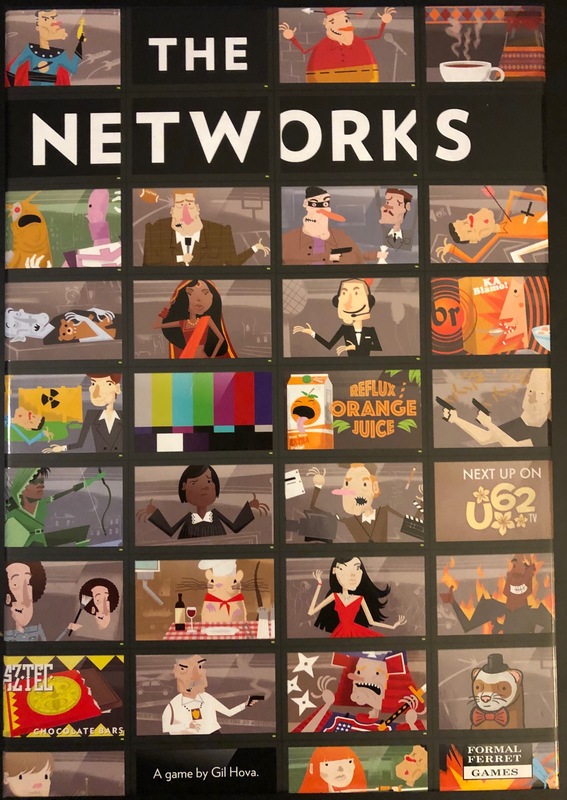 The Networks by Gil Hova and Formal Ferret Games is a worker placement board game built around the novel concept of running your own television network. Over the course of five seasons, you’ll battle competing cable networks for the most viewers by adding new shows, hiring stars, and landing ad deals. On top of all that, there’s no room for complacency, as audiences grow tired of shows over time, forcing you to constantly keep your lineup fresh. Its elevator pitch is one of the most compelling I’ve seen for a board game in quite some time, even as someone who doesn’t like watching television. But how well does its theme translate to the tabletop? I know Anthem has been roasted by the press and the gaming public, but is it ACTUALLY as bad as people make it out to be? I’m enjoying my time with it so far and we played through a few early missions together on stream in this video!